Installing the perfect waterproof vinyl decking is just half of what makes for a great vinyl deck – you need the perfect deck railing as well. So how do you pick the perfect deck railing? Tufdek recommends looking at the following factors: style, color, and function. Probably the most difficult decision you’ll have is selecting which style of deck railing best suits your home. You want your railing to fit with your home’s style, but also set your deck apart and help it stand out. Start by looking at homes in your area – they’ll usually be a similar style or age as yours and might give you a bit of an idea of what will work for your home. 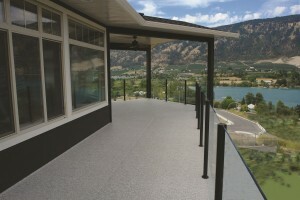 Here’s where it gets difficult – most suppliers offer a wide variety of colors when it comes to vinyl deck railings. 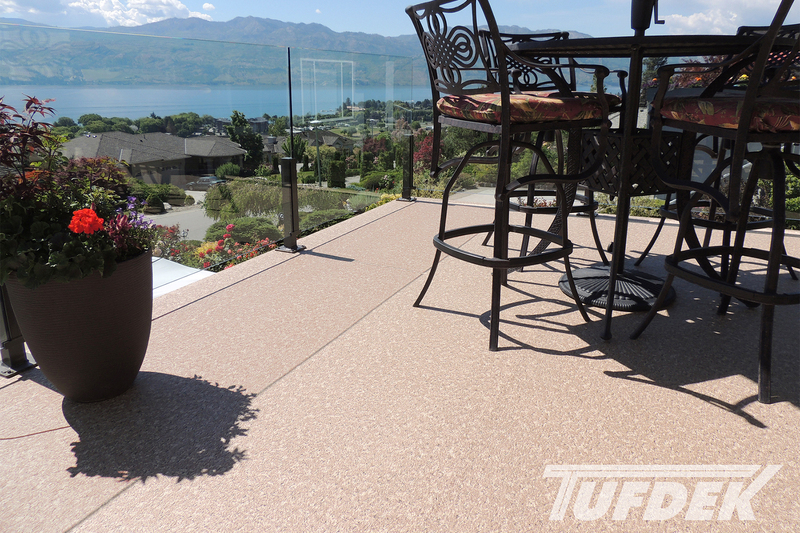 You want to find a color that fits with both your home and the color of your Tufdek Vinyl Decking, as well as any outdoor furniture or accessories. You can go with something that blends (white, beige, grey, etc.) or something that stands out (red, black, blue). The great thing about deck railings is that it offers a range of designs, not just for the railings, but also for what goes between them (panels and spindles). Old fashioned railings offered very little choice, so the majority of railings looked the same from house to house. Now, with more variety offered, you can have your choice of inserts – both in material and style. For example, glass panels are fairly popular as they let you enjoy the view while increasing safety. Meanwhile, if you have close neighbors or something next to your property that you would like to block, you can increase privacy with your choice of panels to make your deck feel more like home. Above all the other considerations, you want to make sure that your deck railings are functional for both your family, as well as the next resident in your home (should there be one). Your deck should be easy to access, as well as having the necessary space for leisure, storage, and cooking. If you’re already considering new deck railings, now might be a great time to consider extending your vinyl deck or adding an extra level. Are you excited about the possibility of new deck railings? Us too! 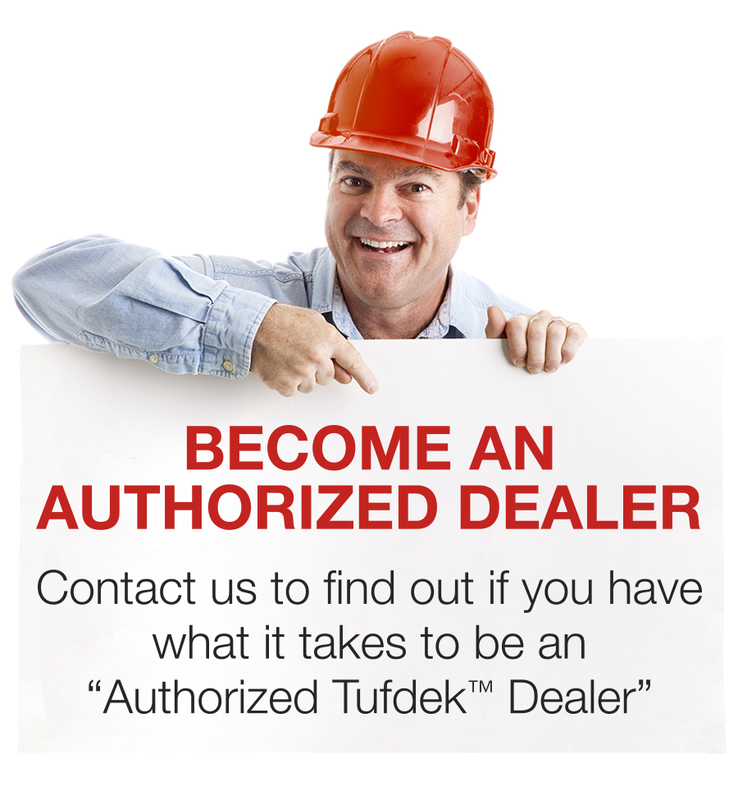 Find a great vinyl deck contractor to give you a hand and show you the possibilities. Designer Series Birch Plank – Tufdek™ Waterproof Vinyl Decking from Tuff Industries Inc. on Vimeo.